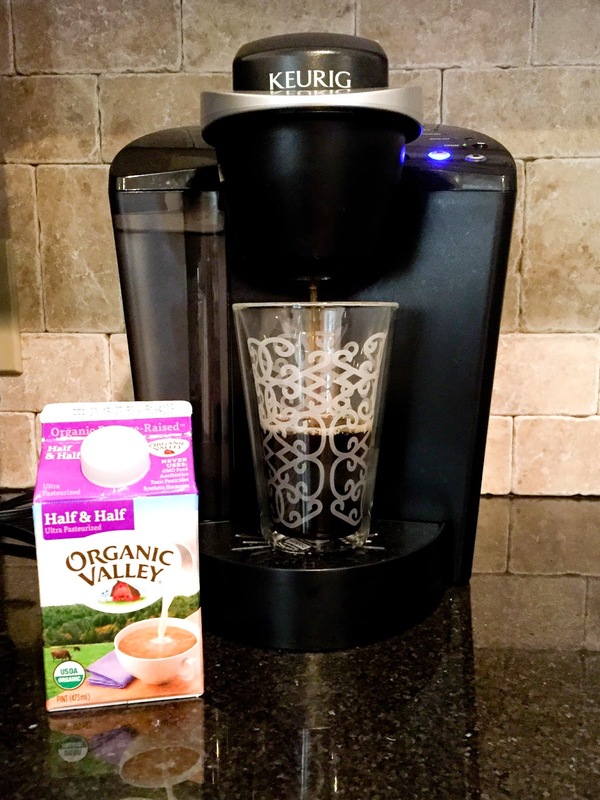 I get such a kick out of going back and rereading our "Day in the Life" posts. 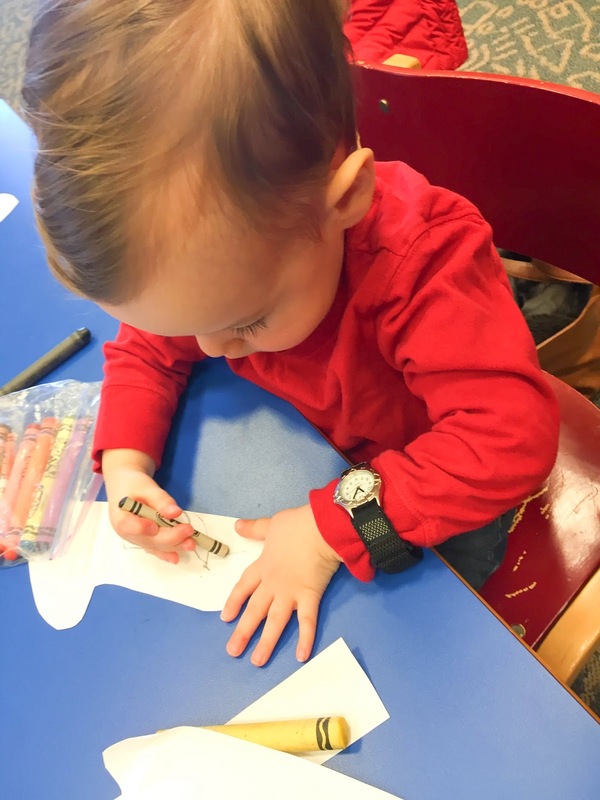 They show so much about what was going on at the time, where Parker was developmentally, and exactly how we spent our days. They are even more significant now that our little family has said good-bye to Scottsdale where Parker spent the first year and a half of his life. I get all warm and fuzzy remembering what was "normal" used to be, and realizing how things have changed. 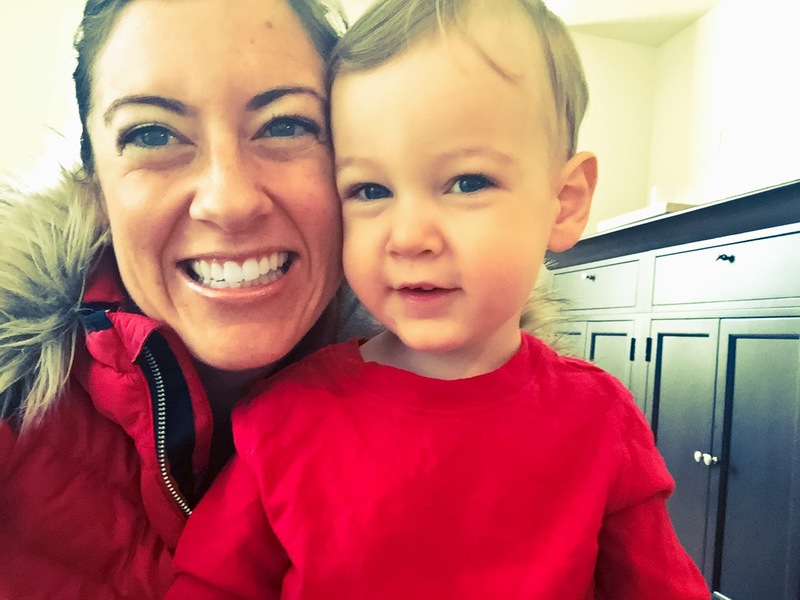 Here's a day in our life from last week, Parker at 22 months, and our first "Day in the Life" post from Alabama! 7:30AM Max is up and getting ready for work. 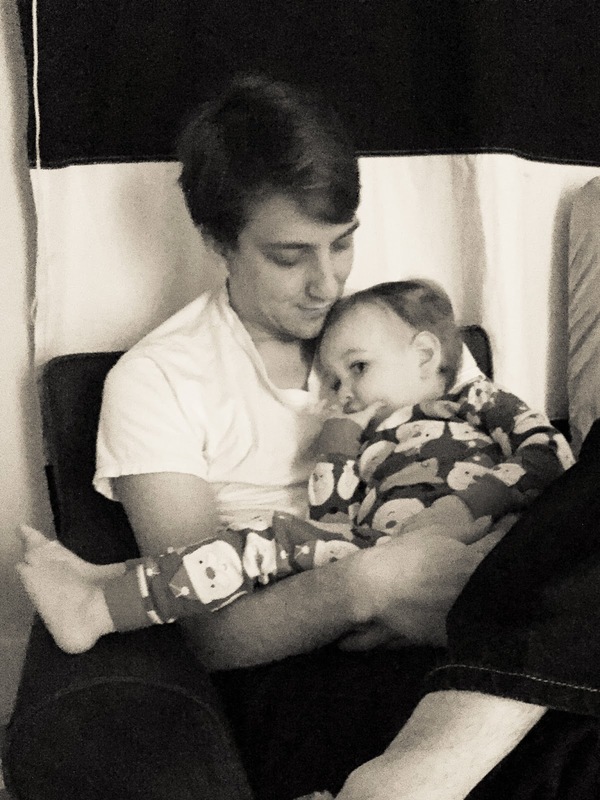 Normally he would be at work by this time, but he arrived home from a business trip around 1am that morning, so he granted himself a late-start day (plus, he really wanted to see little man before he headed out as he hadn't seen him all week being away on travel). 8:15AM Parker lets us know he's awake by sitting up, talking to himself and "reading" one of the books in his bed (he insists on taking one or two books to bed with him every night). He's been a bit all over in regard to wake-up time lately - he went through a patch of waking up at 7:00am and then 6:30am, but now has settled on 7:30ish, so this 8:15 wake-up was definitely sleeping in a bit. Max goes up to greet Parker, and I know they are both super excited to see each other! 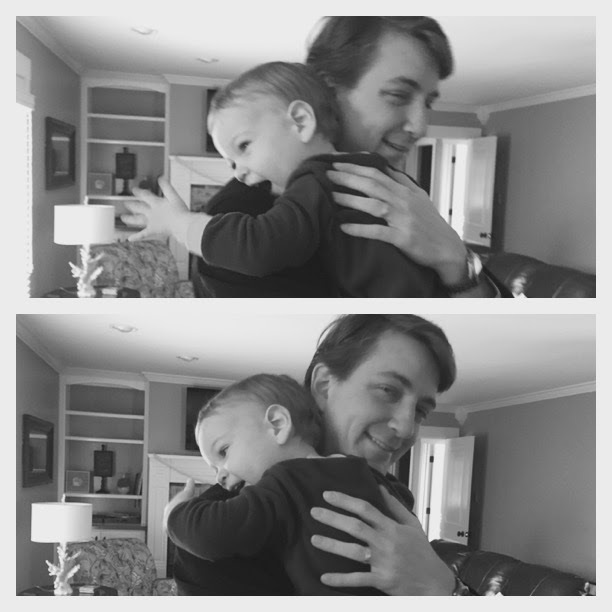 Parker actually had his first sad "missing Dada" moment this past business trip when he just said "Dada" and started bawling, hugging my neck. So heartbreaking! So upon seeing Dada for the first time again this morning, Parker immediately said "seat!" - as in, Dada please snuggle with me on the seat (chair in his room). They stayed up there a bit singing and reading, then Max brought Parker back downstairs and we played until it was time to say bye to Daddy. Morning selfie! Parker luckily was totally okay saying bye-bye to Dada since he was just going to work. 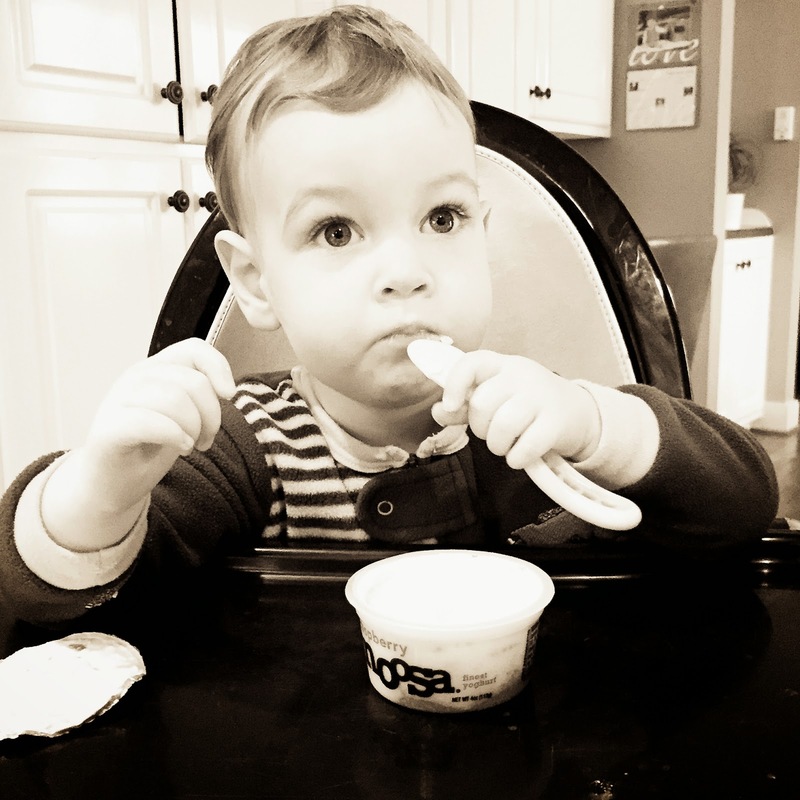 9:00AM Breakfast for little man - he has been loving yogurt with cereal these days! Noosa for the win! I take the chance to make my first cup of coffee and check the weather on my phone to see if we can walk to Story Time at the library. It's a nice 25 minute walk, but I am super surprised to see that it's 30 degrees out, which is too cold for us so I decide we'll drive instead. We both get changed and ready for the day, in RED of course since this was our "red" color study week. 10:15AM I tell Parker it's time to put on our jackets and drive to the library. He immediately starts for the garage and points to where Sandy (the 911 convertible) would be parked. I tell him that Dada has Sandy, and we'll be taking Pepper. He reminds me the entire way to the library that he'd rather be driving in the 911 by saying "NeeNee! NeeNee!" over and over. I tell him that Parker and Dada can go for rides in Sandy this weekend. He of course is very excited about this, and tells me all about what happens on their rides (There are blinking lights! Dada uses keys! He can see trees!). 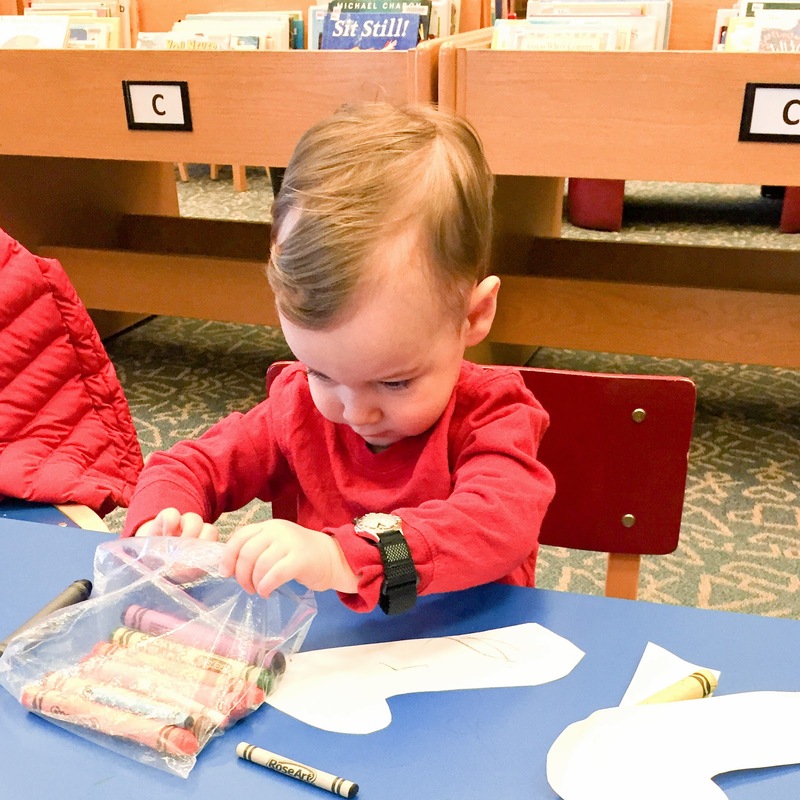 10:30AM Library Story Time - we live just a couple minute's drive from the main library and there are programs almost every day of the week, but Thursdays are the best for Parker's age group. 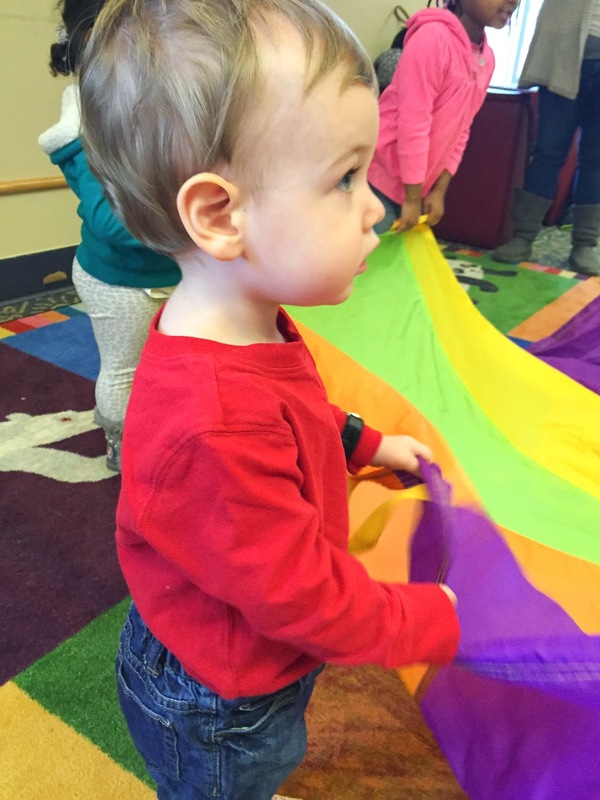 I actually like the Huntsville library Story Time better than Scottsdale's - there is a clear focus each week (today's was dogs), and I think the content is better (though Scottsdale wins for the actual facility since the library was amazingly nice and new). 11:00AM After Story Time is craft time - today's project was making dog ears to go with the dog theme from earlier. Parker is loving "goohs" these days (crayons) and was very excited to color his ears but wanted them nowhere near his head to wear them. Parker also picked out this book and insisted on reading it. 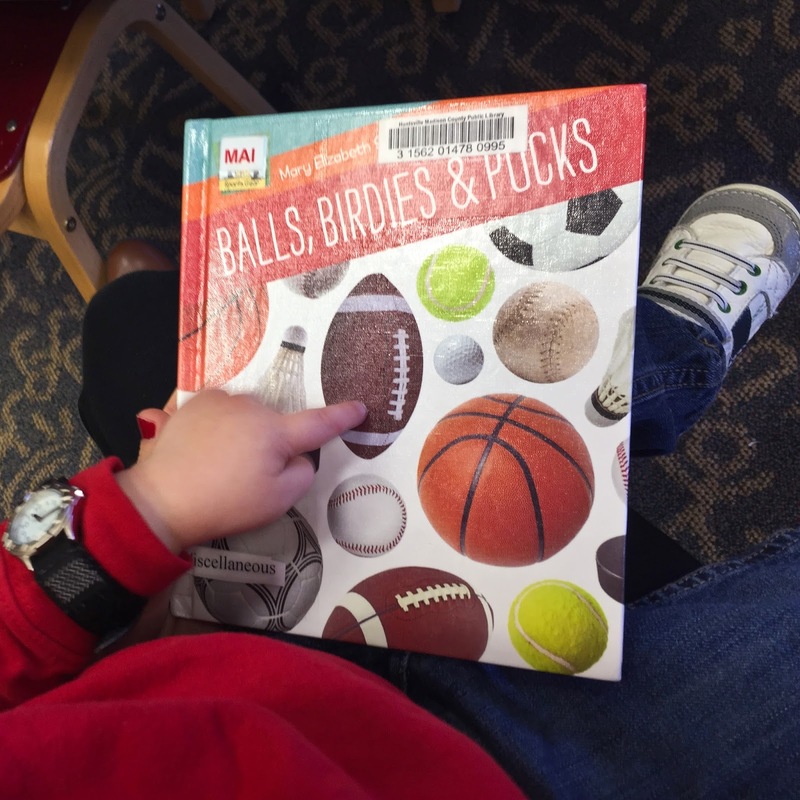 He is slightly obsessed with any kind of ball these days (he calls them "boo boo bees") so this book was right up his alley. 11:15AM After library, we usually either walk around downtown or pop in somewhere to eat lunch (it's all walkable which is very nice). Today our plan was to stop in at the new downtown Publix grocery store to pick up a few groceries. If we are walking, I can only fit a few items in the stroller, but since we had Pepper I stocked up while we were there. 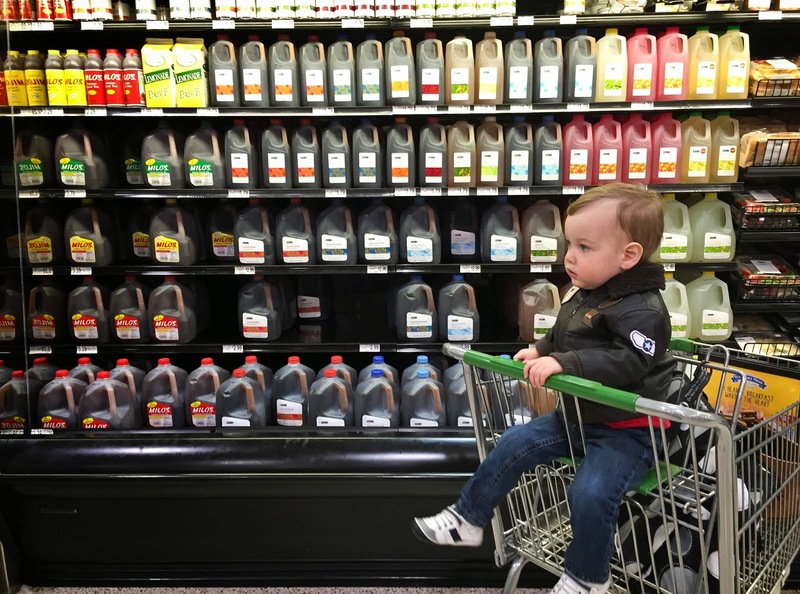 I still can't get over this section - they are all about the Sweet Tea here in the South! 12:00PM Lunch at home! 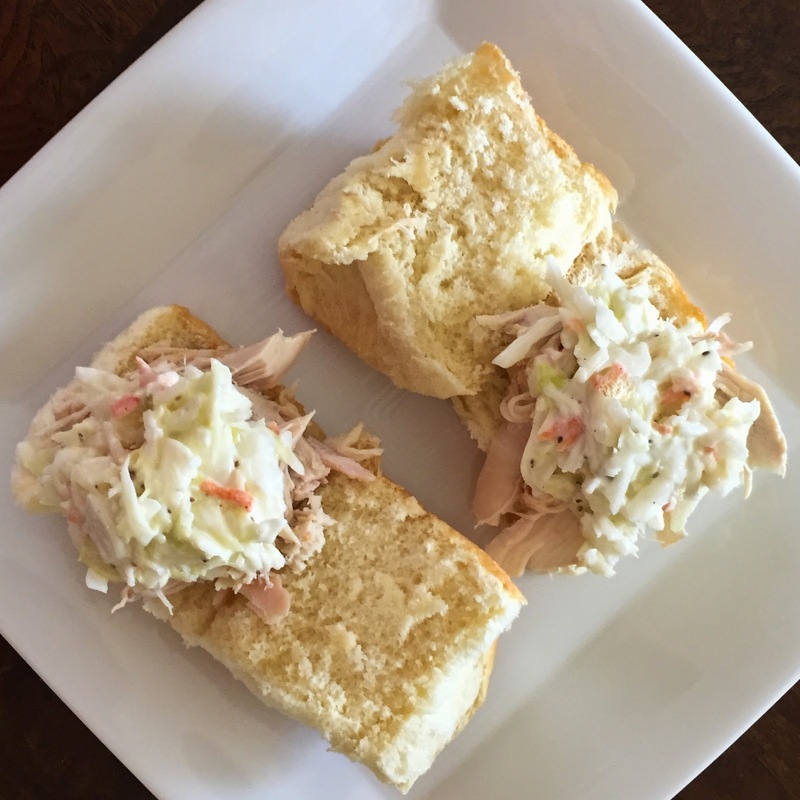 I picked up a BBQ rotisserie chicken at Publix along with some coleslaw from the deli and made yummy sammys. A full tummy and a happy boy! 1:00PM Quiet time - we head upstairs and I change Parker into pajams. I just think it's so cozy to sleep in them, even for a nap, and I think it helps him sleep better. 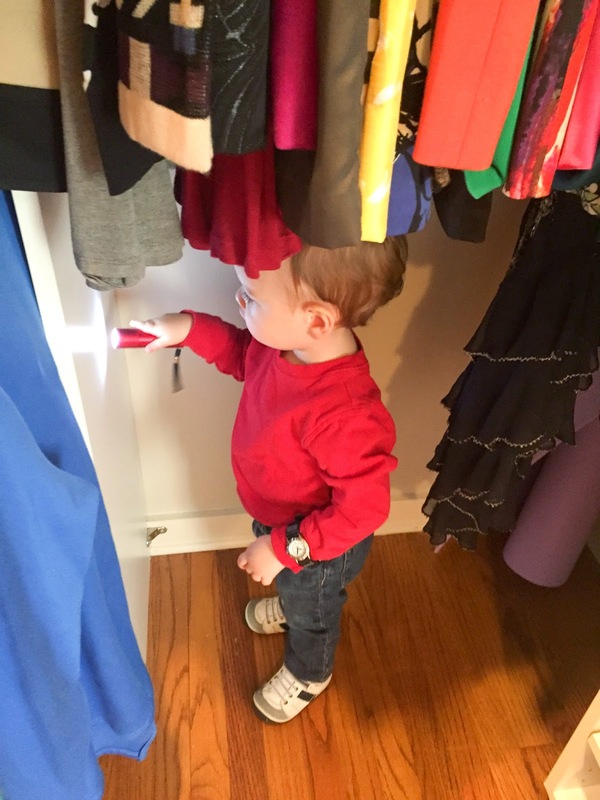 Plus, his clothes are usually a disaster after lunch so often an outfit change is needed! Parker sits in my lap and cuddles and snuggles as I sing and we read book after book. Hands down, one of my very favorite times of our days. 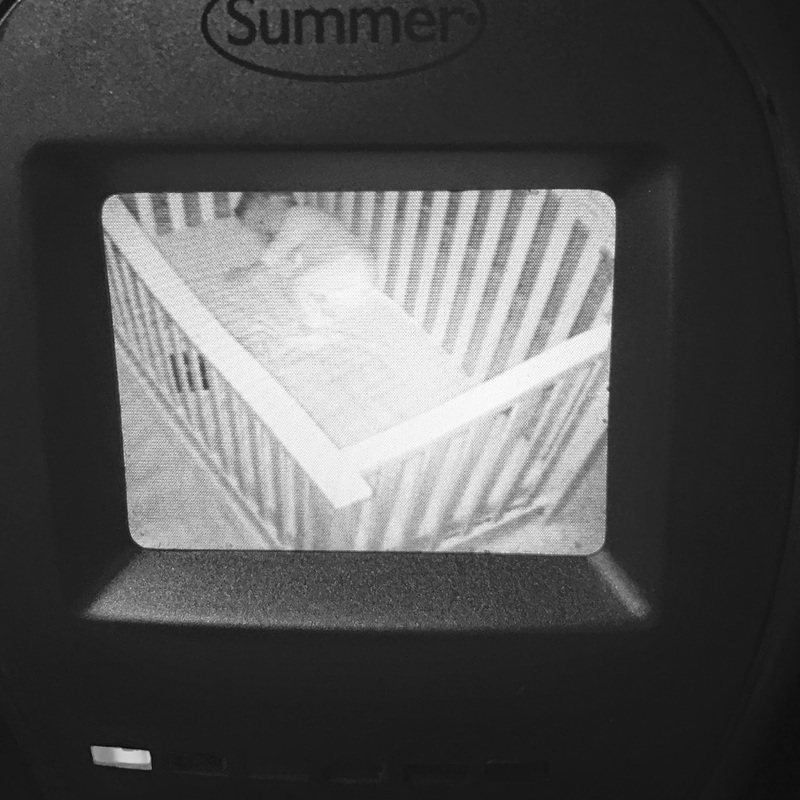 1:45PM I put Parker in his crib and head downstairs to tackle cleaning, laundry, phone calls and paperwork - armed with another coffee, of course. Our kitchen has this built-in desk which I have claimed for myself and I love being able to keep everything there. 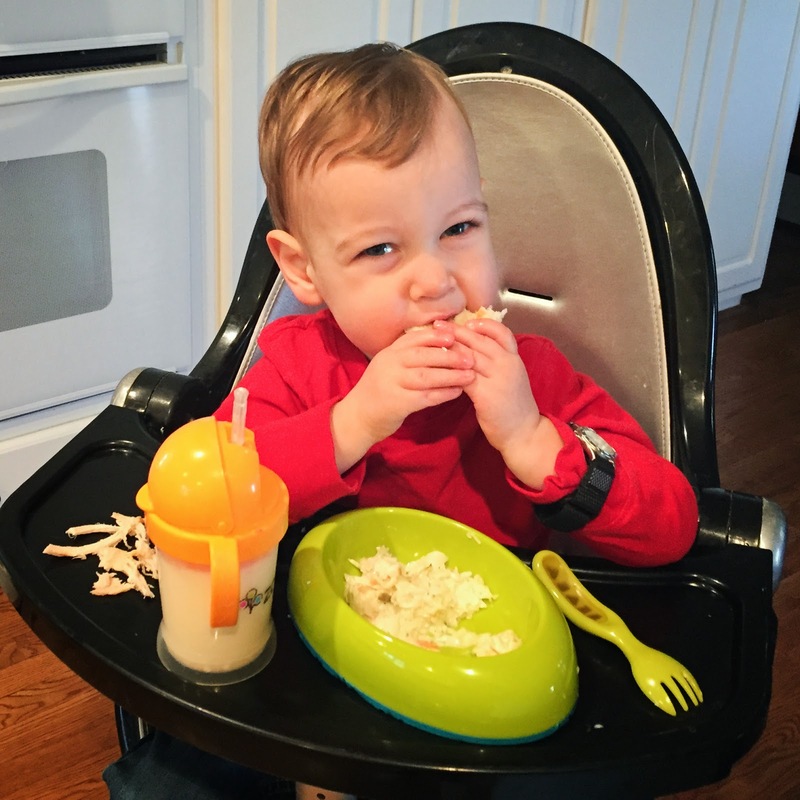 I also love to use Parker's nap time to prep dinner and do the cooking dishes. This way, once Parker is up I only have a couple things left to get dinner on the table, and Max can arrive home to a clean kitchen. 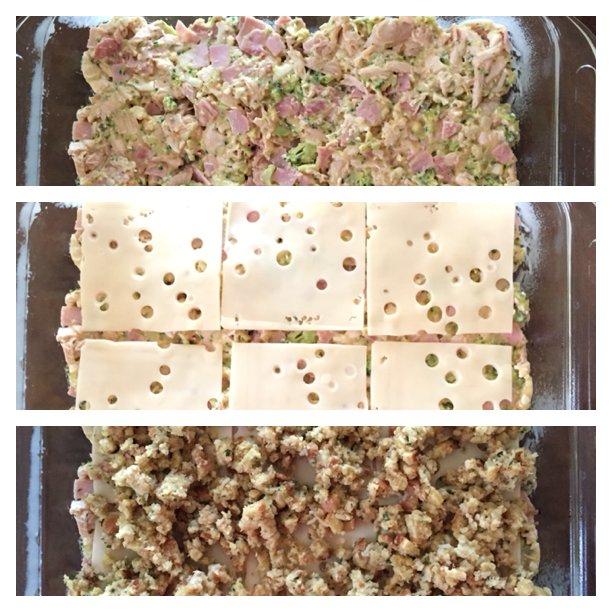 I'm always looking for make-ahead recipes, and today I am trying the Chicken Cordon Bleu casserole from Six Sister's Stuff. 4:45PM Little man starts to stir. He's so funny when he wakes up - he'll just talk and talk. Today he pointed at his knee and said "knee" and then looked at his Exit sign and said "Eyeh! Ghloooow!" (Exit - it glows! ), then "T" pointing to the "T" on the sign, his favorite letter of the moment (he likes to find "D"s and "E"s as well). 5:00PM Parker and I are back downstairs. 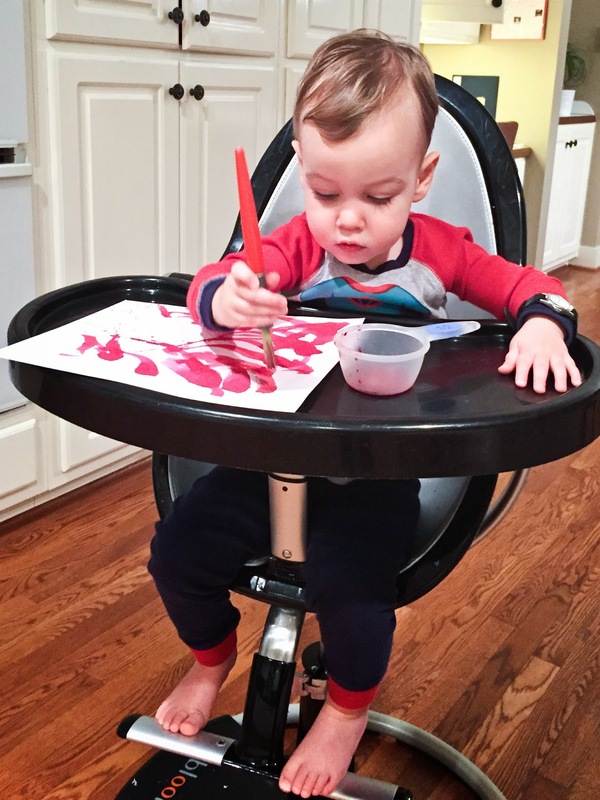 This post-nap, pre-dinner time is usually our arts and crafts portion of the day. I feel like by day's end, I need something new and exciting for little beeper to capture his attention. 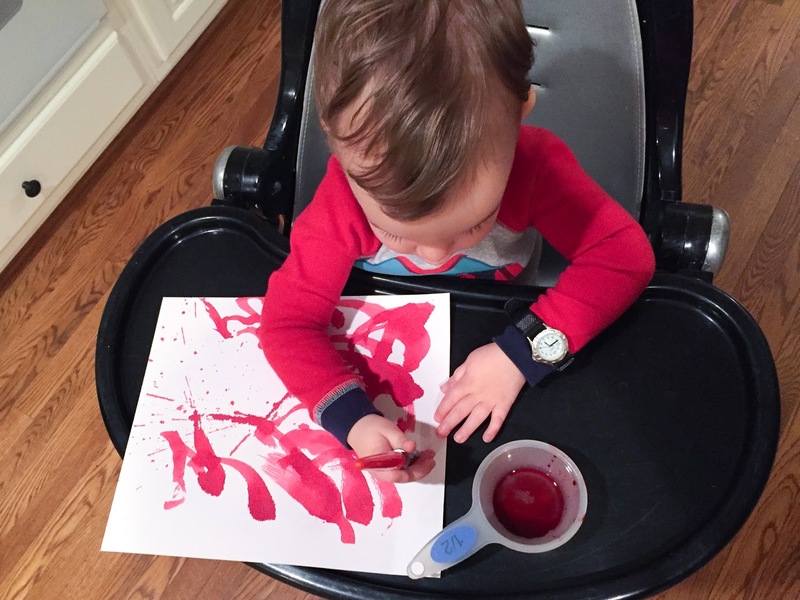 Since it was our "red" color study week, I gave Parker red watercolor paint and let him go to town. I pop the casserole in the oven to bake as we craft and also cook some pasta to serve it with. 6:00PM Parker insits on going over to the back door. He has a sixth sense for when Max arrives home. I don't hear a thing (the garage is detached) but Parker knows. We watch Dada come in through the breezeway and little man SQUEALS. Like he literally cannot contain his excitement. The next few minutes are Dada and Parker time - I love it! No one can roughhouse and get giggles like Dada can! 6:15PM Dinner as a family! 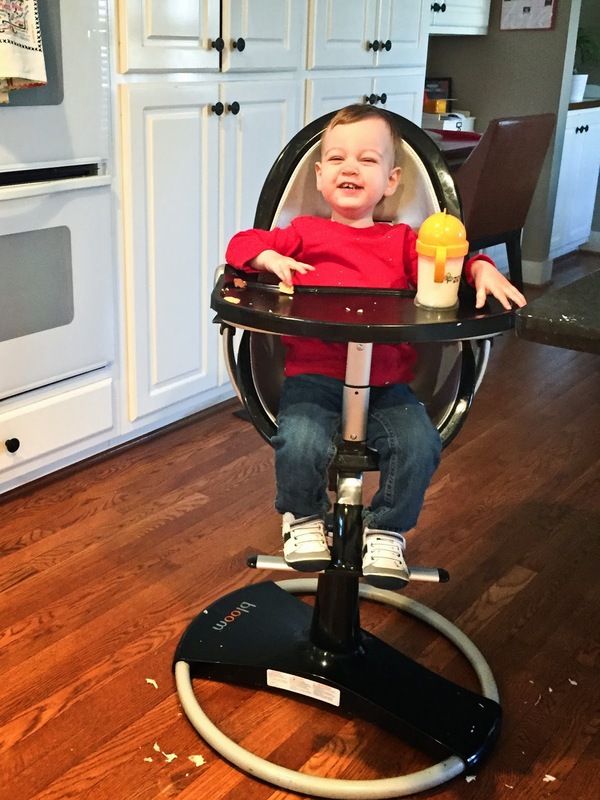 We alternate eating at our kitchen counter and the breakfast nook table, and we just pull Parker's high chair up to eat with us. The casserole turned out fine but it was really, really rich. 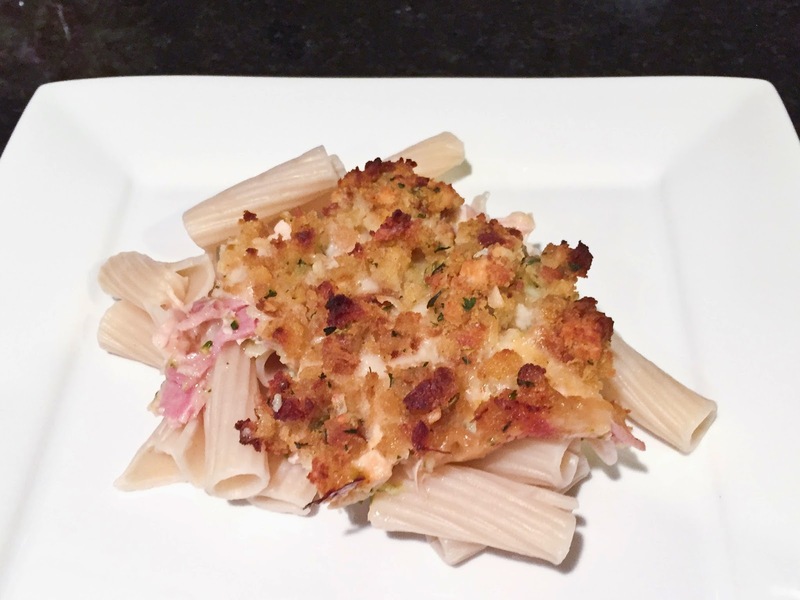 I think if I were to make it again, I'd put the pasta right into the baking dish, and I'd lighten up the sauce with maybe some chicken broth and use less of it. 7:00PM Parker and Dada head upstairs for bath time (Max always does this!). I usually stay downstairs and clean up dinner and get the dishwasher running while they have boy time. 7:45PM I join the boys upstairs for quiet time before bed - reading and singing and cuddles all around. Parker has been loving the songs Itsy Bitsy Spider and I'm a Little Tea Pot these days, along with his standby book Little Blue Truck, and new favorites Buenas Noches Luna, Goodnight Texas and Goodnight Baby Jesus. 8:30 Parker is down for the night and Max and I return downstairs for our downtime. 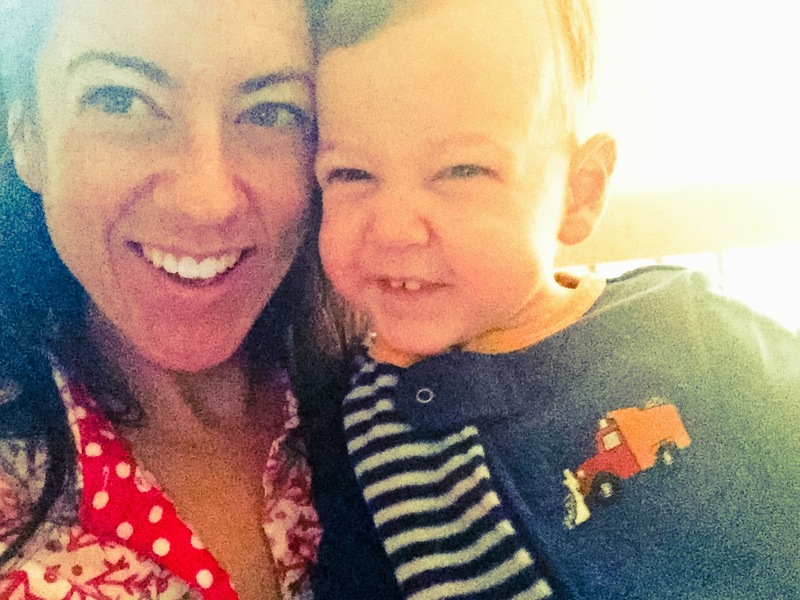 We always talk about how much we love our little man, how amazing he is, how lucky we are, etc. We are both pretty beat by the end of the day (me from chasing a toddler, him from long days at work) but we love spending some time just the two of us once Parker is sleeping. 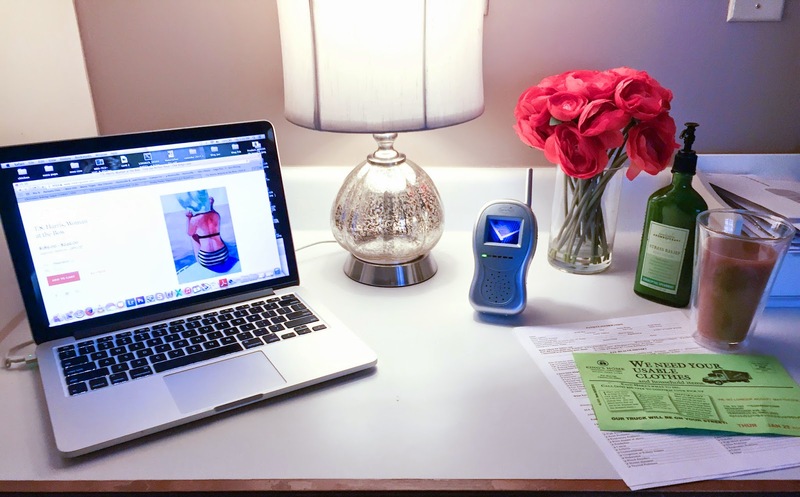 We get ready for bed (I use my Clairisonic!) and we watch an episode of Top Chef (one of our faves) in bed before we turn in for the night (our goal is before 10:30pm so we can be rested to do it all again the next day! ).